The Centaur management team is the most experienced in the industry. It is made up of experienced fund administration professionals who have a reputation for taking responsibility for the services they deliver. Centaur continues to attract and retain staff, and those staff enjoy working in a client focused team, taking responsibility for all aspects of the fund they service. Having low staff turnover sets us apart from other administrators as client relationships remain strong. Eric is a Founding Partner of Centaur Fund Services. He is a qualified accountant (CA) who has worked in the investment fund industry since 1997. Prior to establishing Centaur, from 1997 to 2009, Eric was the Managing Director of Bisys Hedge Fund Services and Citi Hedge Fund Services Limited in Bermuda and Cayman with responsibility for over 300 employees, 100 clients and AUA of $60bn across the United States and Carribbeans. Eric has also held management positions with Hemisphere Management Limited. Eric was employed by Ernst & Young in Montreal, Canada as an auditor from 1991 to 1996 including 2 years as an audit manager. Mr. Bertrand has participated in industry panels at diverse conferences. Karen is the Managing Director and a Founding Partner of Centaur Fund Services. Karen is a qualified accountant and has worked in the Financial Services industry since 1990. 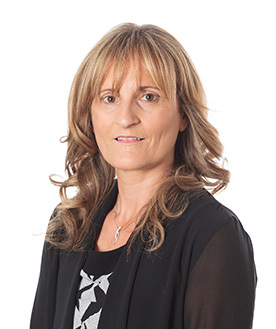 Prior to establishing Centaur, from 1997 to 2009 Karen was the Managing Director of Hemisphere Management, Bisys Hedge Fund Services and Citi Hedge Fund Services(Ireland), with responsibility for over 600 employees, across 65 clients and AUA of $85bn across the European region. Karen has also held management positions at Irish Life Investments (1990 to 1994) and JP Morgan Chase (1994 to 1997). Karen has spoken at many conferences and written extensively on the funds industry. She was involved in the IOSCO report on Principles for the Valuation of Hedge Fund Portfolios and the AIMA Guides on Sound Practices for Hedge Fund Valuations. Ronan is a founding Partner of Centaur Fund Services and a Director of Centaur Financial Limited. Ronan is a non-executive director of a number of investment funds. 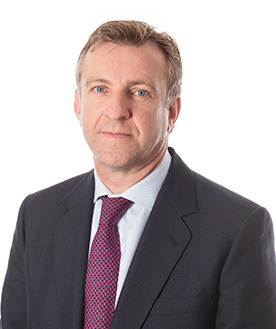 Ronan qualified as a solicitor in England and Wales in 1991 and qualified as a Barrister and Attorney in Bermuda in 1995. From 1994 to 2008, he held senior roles at Citi Hedge Fund Services, BISYS, Hemisphere Management and The Bank of Bermuda Limited. Ronan was educated at The University of Manchester and The College of Law, London. He worked at London law firm, Berwin Leighton, from 1989 to 1993. Ronan has spoken at many conferences and written extensively on the funds industry. He was involved in the IOSCO report on Principles for the Valuation of Hedge Fund Portfolios and the AIMA Guides on Sound Practices for Hedge Fund Valuations and for Offshore Alternative Fund Directors. Des Johnson is based in New York and CEO of Centaur Fund Services USA. 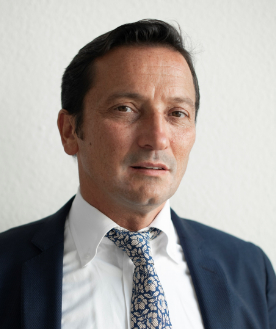 Prior to joining Centaur Des was Managing Director and Global Co-Head of Investor Services at SS&C with responsibility for over 600 people in 12 countries. Des has experienced all aspects of the Investment fund Industry since 1998 working in Ireland, Bermuda and New York. Des has held senior management positions at Citibank, BISYS Hedge Fund Services and IFS/State Street. Des has a BA (Hons) in Business from Dublin Business School. Gavan is based in London and is Head of Business Development. 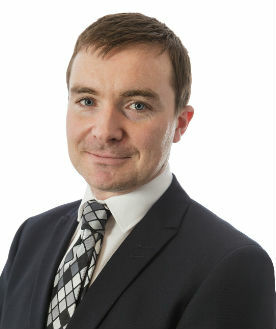 Gavan was educated at the University of Limerick and has worked in the financial services industry since 1997. 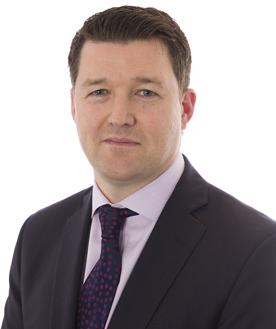 Prior to joining Centaur in November 2010 Gavan held senior roles at Citi Hedge Fund Services and Bisys Hedge Fund Services both in Dublin and in London from 2002. From 1997-2002 Gavan held a number of operational roles at hedge fund administrator IFS. During the period 2008 to 2009 Gavan was the COO of a distressed debt hedge fund. Gavan is currently a director of Hedge Funds Care UK, a charity focused on raising money and granting it to child welfare organizations. He has also participated in the AIMA communications committee. Marc is Chief Operating Officer of the Bermuda Office. Marc was educated at the Pennsylvania State University in the United States in Accountancy and has worked in financial services since 2000. 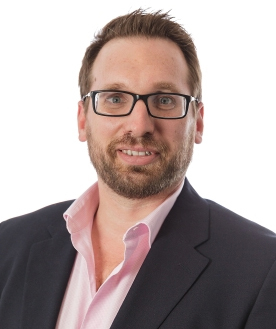 Prior to joining Centaur, Marc was Senior Vice President at IKONIC Fund Services in Bermuda with responsibilities for Hedge Funds and Insurance Link Securities (ILS). Between 2002 and 2012, Marc was Vice President at Citi Hedge Fund Services (subsidiary of Citigroup Inc) in Bermuda managing a business unit that provided fund accounting services for 65 investment funds representing assets under administration of $12 billion. Richard is based in New York in the role of Business Development. Richard has a BSc Degree in Finance from Quinnipiac University and has been in the Alternative Investment Industry since 2001. Prior to joining Centaur Fund Services Richard held a Senior Business Development role at KOGER Inc. collaborating with Global Alternative Investment Funds and their complex operational requirements. 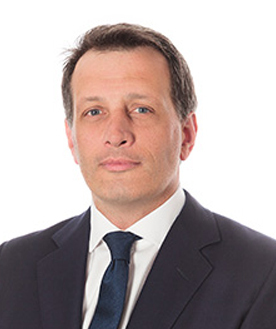 Richard has experience in all aspects of the Alternative Investment Fund Industry through senior operational and portfolio management roles at Cramer Berkowitz, Stratix Asset Management and Quad Capital. Gerry is the Managing Director of Luxembourg Capital Partners S.A. Gerry is working in the Financial Services Industry in Luxembourg since 1986 where he had been working for leading international financial services companies such as The Bank of Bermuda, Flemings, Citibank, General Re CKAG, Commerzbank and The Bank of New York. During his career Gerry had the opportunity to broaden his knowledge in operational aspects of the services provided to investment funds as well as in relationship management/sales and was holding several leading positions. Prior to joining Luxembourg Capital Partners S.A. (at the time called Paddock Fund Administration S.A.), Gerry was a Vice President for The Bank of New York Mellon (Luxembourg) within the Business Development unit. Alison is head of the Corporate Secretarial team at Centaur Fund Services Limited. Alison is a Chartered Secretary (ACIS) and Law graduate (Rhodes University, South Africa) with 10 years corporate secretarial experience in the fund administration field. 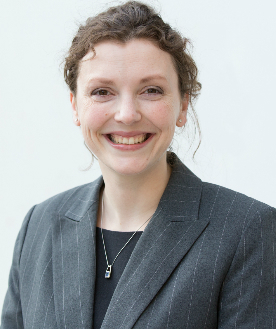 Prior to joining Centaur in 2010, Alison held roles with Citi Hedge Fund Services (Ireland), Limited (formerly BISYS Hedge Fund Services Limited). Antonio is the Head of Fund Accounting and Investor Services of Centaur Fund Services. Antonio is a qualified accountant who has worked with leading international financial services companies in North America and Europe since 2001. Prior to joining Centaur, Antonio was a Vice President for Citi Hedge Fund Services (subsidiary of Citigroup Inc.) in Bermuda managing a business unit that provided fund accounting services for up to 80 investment funds representing $13 billion assets under administration. 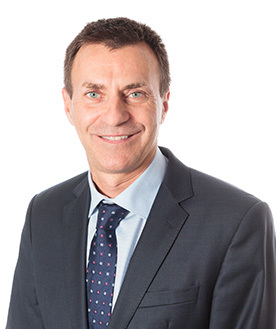 Between 1998 and 2004, Antonio held a number of operational roles within financial and accountancy services companies in the UK, including JP Morgan Chase and Franklin Templeton Investments. Morgan is Depositary Services Manager at Centaur Financial Limited. 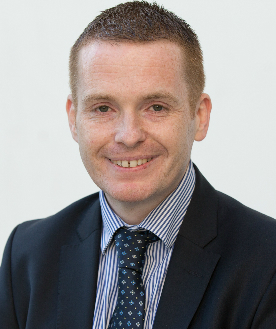 Morgan holds an B.Sc in Mathematical Physics and Applied Mathematics (National University of Ireland Maynooth) along with a Postgraduate Diploma in Business Studies (Dublin Business School). Morgan joined Centaur Fund Services Limited in 2012, initially to the Investor Services team before transitioning to his current role with Centaur Financial Limited. Morgan has previously worked with Citi Hedge Fund Services (Ireland) in their Shareholder Services team from 2009 to 2012 and prior to that was employed by Northern Trust as a Fund Accountant. 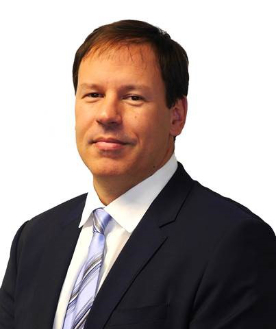 Morgan has a broad range of experience across all operational aspects of financial services and currently runs the depositary services operations at Centaur Financial Limited, delivering AIFMD depo-lite cash monitoring and oversight. Noel is the Head of Investor Services of Centaur Fund Services. Noel is a Finance Graduate from NUI Maynooth with 15 years client facing experience in the funds industry with leading international financial services companies in North America and Europe. 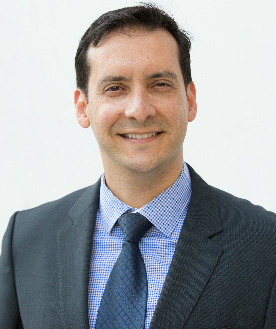 Prior to joining Centaur in 2009, Noel was an Investor Services Group Manager in Citi Hedge Fund Services (formerly Bisys Hedge Fund Services) in Bermuda. Noel has also held various operational roles with Citigroup and Irish Life Investment Managers. Tracy is Head of Risk and Compliance for the Centaur group of companies and a Director of Centaur Financial Limited. 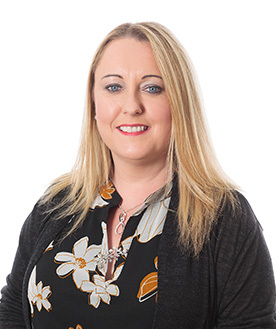 Tracy is a law graduate (University of Ulster), holds an MA in Public Order (University of Leicester) and a Postgraduate Diploma in Legal Practice (College of Law – England and Wales). Tracy began her career in financial services in 1998 with Royal Skandia (1998-2003) and later joined BISYS Hedge Fund Services and Citi Hedge Fund Services (2005-2009) specializing in AML, regulatory compliance and risk. Tracy also held the position of Policy Adviser with the Isle of Man Financial Supervision Commission (2003-2005), where she specialized in developing investment business regulatory policy.